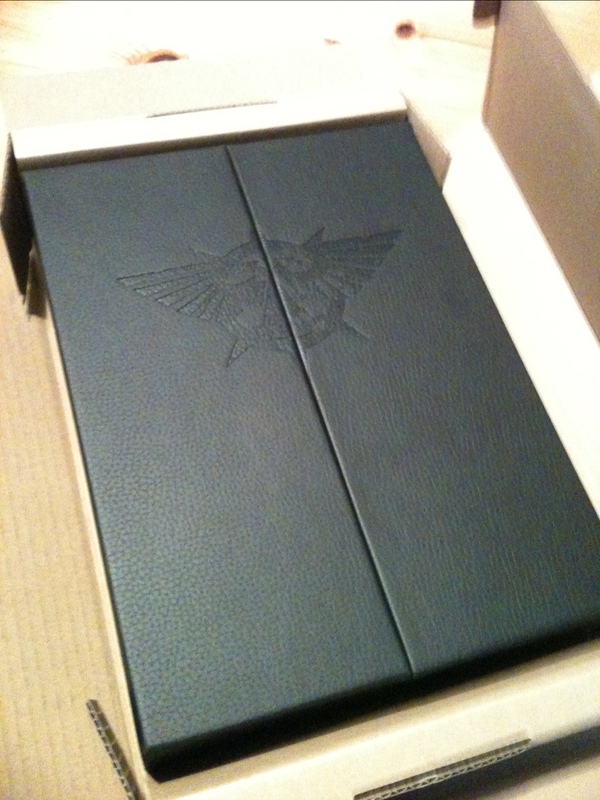 My copy of the Warhammer 40,000 Collector’s Edition arrived this morning, and wow, is it a huge book. The tome weighs in at just under 3 kilograms, and measures 2.75 inches thick in it’s leather-effect display case. 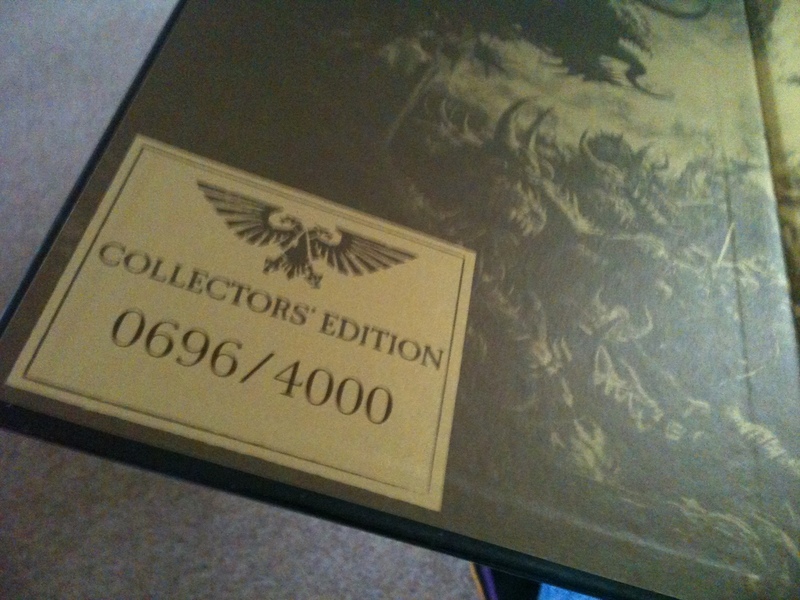 My copy is number 696. I don’t know if that number has any significance. 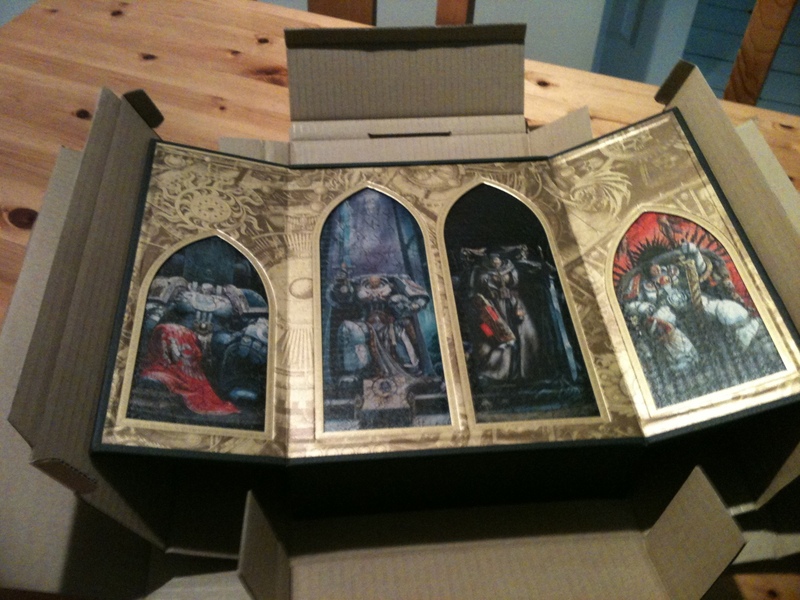 The book is beautifully presented, and is in full colour. I’m still reading the rules, but they look good so far!